Tennessee officials said in a press release this week that members of a Franklin-based facility committed fraud to get $6 million in TennCare benefits to which it was not entitled. The U.S. District Court for the Middle District of Tennessee this week made public a suit filed by Attorney General Herbert H. Slatery III against ProHealth Rural Health Services, Inc., and its President and Chief Executive Officer Ray White (pictured above). By filing the suit, the state intervened in a case initially filed by a whistle blower, according to a press release from Slatery’s office. “As a designated Federally Qualified Community Health Center (FQHC) Look-Alike, ProHealth provides healthcare to all patients, regardless of their ability to pay. That status entitled ProHealth to receive Prospective Payment Service (PPS) payments, a guaranteed minimum amount of money per Medicaid patient visit,” the press release said. The press release quoted Slatery as saying members of his office will not permit leniency in this matter. 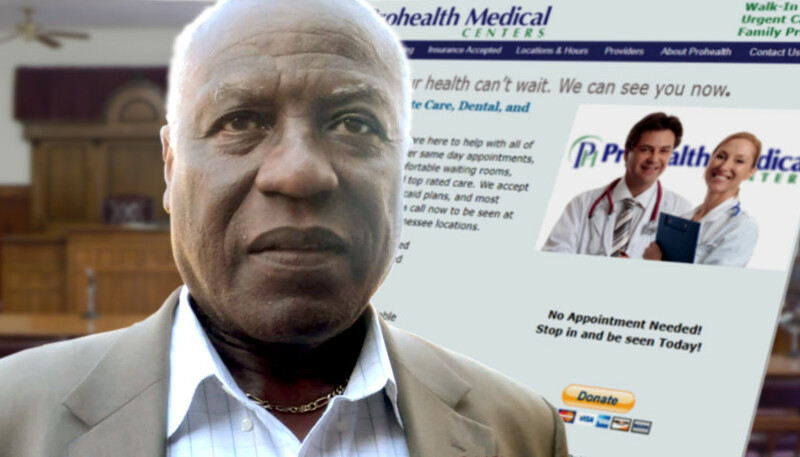 “ProHealth abused its status as a FQHC to make millions of dollars for services it did not provide to patients who never even walked in the door,” Slatery said. The State is seeking $18,722.234 in damages under the Tennessee Medicaid False Claims Act, three times the fraudulent amount received by ProHealth, and $440,000 in fines, according to the press release. Photo “Dr. Ray White” by Ray White. Just another example of the government’s failure in its wrong-minded effort to control and pay for healthcare. Too many fingers in the pie leads to mass corruption. Get the government out of providing and paying for healthcare. Put the responsibility on the individual where it rightfully belongs. Just think of the dollar savings for ridding ourselves of the many government employees and related fraud.